Over the years, he has developed a strong working knowledge of the electrical and service industry. During his career, Marcel has had the opportunity to travel throughout the United States installing and maintaining electrical and energy management systems. Through this hands-on experience, he has gained an extensive knowledge of the electric service industry. In February 1998, Marcel decided that the best way to utilize his knowledge and experience was to start his own company. Since that time, Marcel formed M. Champagne Electric, Heating & Cooling, L.L.C. and has dedicated himself and his company to being the number one service company in the electric industry. 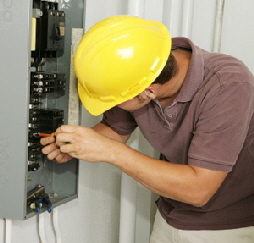 M. Champagne offers quality electrical services and takes pride in every job that is performed. With Marcel’s expertise and strong attention to detail, the company is a respected service industry leader today and plans to maintain its leadership position well into the future. Marcel Champagne has been in the electrical and construction field since the summer of 1972. Working as a helper to a general contractor, he developed a love and passion for the service industry. After graduating from high school in 1976, he attended Delgado Trade School where he studied Electrical Construction. While in school, he also worked as an electrician’s helper, gaining practical on-the-job experience to complement the electrical theory he was learning in trade school. In February 1977, Marcel became certified as an electrician and went to work for Stuart Electric. After ten years of service to that company, he gained additional industry experience by working with several other respectable electric service companies in the New Orleans area.